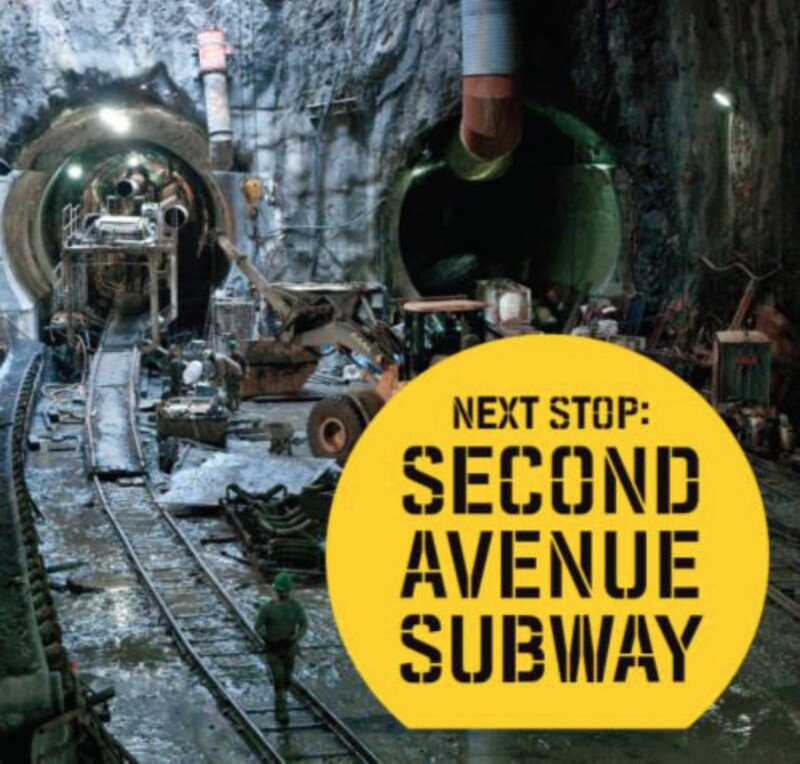 In celebration of the Second Avenue Subway’s recent debut in New York City, the New York Transit Museum’s exhibit Next Stop: Second Avenue Subway is now on view in Downtown Brooklyn. Tracing nearly 100 years of history, the Museum’s newest exhibit explores how the Second Avenue line fits into New York’s past, present, and future transportation landscapes. “The line that almost never was” began with the visionary ideas of Daniel L. Turner in the 1920s, held an actual groundbreaking in the 1970s, and was ultimately realized on New Year’s Eve 2016 as part of a modern construction plan launched in 2007. First proposed in 1919, the Second Avenue Subway was stalled after the stock market crashed. Restarted following WWII, the construction project was again delayed during the Korean War. Resurrected in the 1960s, its construction was killed by the fiscal crisis of the 1970s. The opening of Phase One, running from 63rd to 96th Street, is truly a momentous occasion, improving transportation on the East Side of Manhattan and relieving congestion on the Lexington Avenue line. When the project is completed, its route will go from Lower Manhattan to East Harlem with a connection to the Metro-North Railroad at 125th Street. to bring works of fine art to the new stations on the line. These latest works of art join the rich history of public art in the transit system and are the most expansive permanent public art installations in the history of New York. Next Stop: Second Avenue Subway is open to the public through September 3, 2017 at the New York Transit Museum in Downtown Brooklyn. The Transit Museum is open Tuesday through Friday, 10 a.m. to 4 p.m; Saturday and Sunday, 11 a.m. to 5 p.m.; and is closed Mondays, major holidays and for special events. General admission is $10 for adults, $5 for children 2-17 years old, $5 and free on Wednesdays for senior citizens 62 years and up, and free for museum members. For more information on hours, admission and directions, please visit nytransitmuseum.org/visit. Next Topic: Celebrate Steam Engine #17 on Feb. 11, 2017, at New Hope Valley Railway.